Opinion: Where Are Sydney's Best Value Suburbs? Melbourne’s best value suburbs for houses, we have followed up with an analysis of the Sydney residential market. Walk Score rates a location (out of 100) in terms of how walkable it is to services such as shops, recreation, public transport. This measure of walkability provides an objective measure of location, which can then be used to measure the value of Sydney suburbs. In theory, people will pay a premium for having a higher level of amenity close by. The Walk Score web site offers an overall Walk Score for total suburbs as well as individual locations. The chart below plots the Walk Score for each of Sydney’s suburbs against its median house price in the six months to September 2014. As would be expected, the median house price tends to increase with a higher Walk Score and the trend is upwards. The median Walk Score of Sydney’s 544 suburbs is 59. Most of the data is bunched around the trend line. However, the outliers show those suburbs where the price is high relative to its Walk Score (overpriced) or where the price is low relative to its Walk Score (underpriced). It should be noted many smaller inner suburbs have a low population of houses and the median may be distorted by the very low number of sales that take place. Indeed, many inner suburbs reported no sales over the period, and we have excluded those suburbs that recorded less than 10 sales in the period. So which suburbs in Sydney offer the most (and least) “bangs per buck” on this basis?The chart suggests that the most expensive suburb (that recorded more than ten house sales in the six months to September 2014) of Vaucluse (median of $3.7 million) is overpriced relative to the amenity it offers, based on its Walk Score of 69. Not shown in the chart due to a low number of sales, Point Piper rates as even less affordable, recording a Walk Score below Sydney’s median of 58 and a median house price (based on 5 sales) of $9.4 million. In comparison, suburbs such as Ellis Lane and Grasmere appear overpriced considering they both have a Walk Score below 10. However, these locations offer acreages and the high price reflects the larger lot sizes (which in turn also diminish walkability). Outside of the acreages, the most expensive of the suburbs with a Walk Score below the median of Sydney suburbs is Church Point in the Pittwater Council Area, which has a median house price of $1.28 million and a Walk Score of 23. Walk Scores for the lowest prices. In terms of the “walkers paradise” suburbs, Sydney has three suburbs with a Walk Score over 90 that have a median value of less than $1 million. These are Erskineville (Walk Score 92, median $975,000), Newtown (Walk Score 95, median $990,000) and Darlington (Walk Score 94, median $986,000), closely followed by Enmore (Walk Score 89, median $935,000). Parramatta represents the best value suburb with a Walk Score above 80 (at 81), and a median house price of $775,000. Amongst the suburbs that offer a good level of walkability (above 60), the best value suburbs are Liverpool (Walk Score of 77 and median house price of $575,000 in 2013), Mt Druitt (70 and $575,000), Warwick Farm (69 and $495,000), Lalor Park (66 and $498,000) and Penrith (64 and $473,000). All of these suburbs have a Walk Score well above the median Walk Score of Sydney’s suburbs of 59. Rating Sydney’s suburbs on a “dollar per Walk Score basis”, the top ten Sydney suburbs can be seen below. 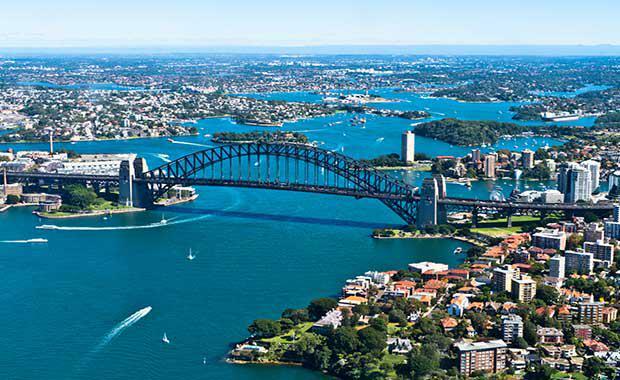 All are established suburbs which are located just inside outer Sydney growth corridors in Sydney’s west. Emerton is the most affordable in terms of the value offered per Walk Score point, and its low median house price is a reflection of its relatively low Walk Score below 60. The most walkable of the top ten is Liverpool which has a Walk Score of 77 (classified as “very walkable”), while still having a relatively affordable median house price of $575,000—well below the Sydney median. Article by Angie Zigomanis of BIS Shrapnel. First published via the BIS Shrapnel blog.